The area is known for its produce, wine, seafood and other gourmet delicacies. It also has a natural beauty, with pristine rivers meandering through valleys bordered by World Heritage-listed national parks. Bushwalkers can enjoy walks ranging from a tree top walk at Tahune Airwalk to a five hour trek to South Cape, Australia’s southern most point. A full range of accommodation is available for visitors including guest houses, Bed & Breakfast, Pubs, back packer style, hotel and cottages. The main towns of Huonville, Cygnet, Geeveston and Dover have supermarket, fuel and EFTPOS facilities. The Huon News and Cygnet Classifieds, published each Wednesday and Thursday respectively, and Huon FM keep residents and visitors up to date with local happenings. 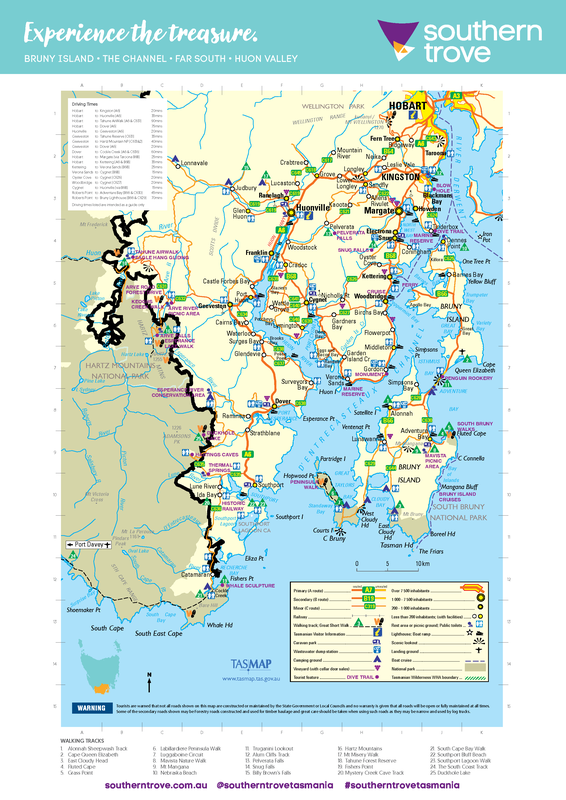 For information about the region, discover the Huon. The site includes information about experiences, accommodation, wineries and dining, maps and brochures for the region, sample itineraries and travel information. Join us for an inspirational journey into Tasmania’s south.